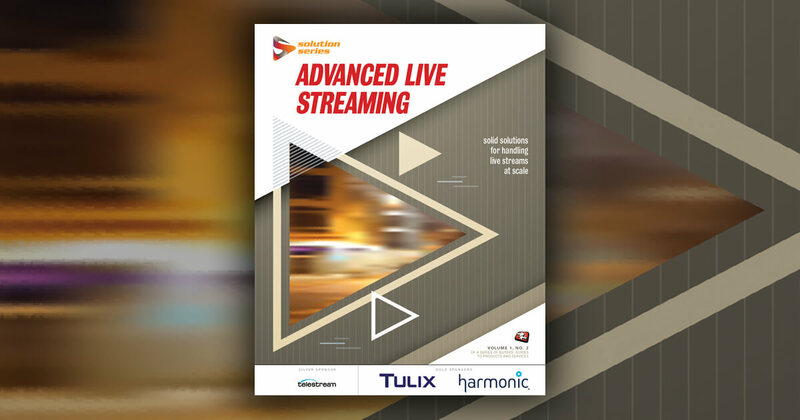 Elemental Technologies, the leader in software-defined video solutions, today announced that it provided the encoding solution for a live streamed, 360? video concert. The event held in Berlin on Tuesday captured the Red Hot Chili Peppers live in concert at the Kraftwerk Berlin, and gave fans at the venue and across Germany, Austria, and Switzerland an unprecedented view of the band and the event. The show was the first live concert in Germany to be delivered as a 360? virtual reality streaming experience. The concert was captured by four Nokia OZO 360? virtual reality cameras, each of which included eight 2K x 2K video sensors to produce a full spherical output. An Elemental Live 4K encoder produced the live HD stream for delivery to YouTube. Viewers were able to experience the 360? stream on devices like the Samsung Gear VR, or iOS and Android phones using Google Cardboard and the YouTube app. Chrome, Firefox, Opera, and Edge browsers supported viewing in 360?. The cameras were placed on stage with the band, in the first row, and above the audience to provide unique panoramic views of the show. Software-defined video solutions from Elemental help broadcasters, content owners, pay TV operators and enterprise customers implement flexible and scalable video infrastructure and to rapidly deploy new services with cloud-based resources that dynamically scale with demand. At IBC, Elemental demonstrates its full product suite as well as a host of Amazon Web Services’ offerings for media and entertainment broadcast and OTT applications at stand 5.C80 in the RAI Center, Amsterdam, September 9- 13. Among other next-generation video technologies, Elemental highlights powerful encoding that allows for creation and delivery of UHD HEVC outputs in real time for immersive virtual reality applications.